$235 of Our Top Products For Only $9: First month FREE, then only $3.03 per week (billed monthly), non-DFS customers are paying $27! You can easily cancel at any time. 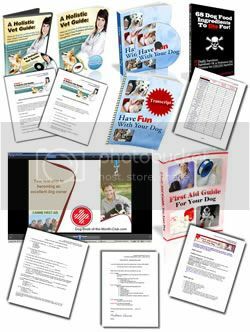 The Dog Food SECRETS Customer Special Offer includes 1-month FREE access to our dog book club & this page is where you create your membership. You also get "68 Dog Food Ingredients to Die For!" PLUS 2 more products for a total value of $235 for just $7! That's the best offer we've ever made, period & you can easily cancel at any time during the first month & not pay another cent.